Killer Characters: Wild About Harry! I met Jessica Fletcher some time ago when my partner in our Boston private investigation agency, Archie Miles, was killed while on his way to Maine to question a witness. My name’s Harlan McGraw, only I tend to get testy whenever anybody calls me that. I’ve been going by the name Harry for as long as I can remember, and that’s the way I like it. Anyway, Miles had been hired by Mrs. Fletcher to help research one of her murder mystery books, and this witness to a murder in Maine figured into her story. I ended up doing some digging for her, and got paid, a good thing since my gambling debts had been piling up. We worked together a few more times, and afterward I figured I'd never see her again. But then some hot-shot lawyer in Cabot Cove, a smug young guy named Cy O’Connor, was defending a woman accused of shooting her husband who used to beat her up. So this mouthpiece hires me to work the case, I end up in Cabot Cove again—a nice enough town except I’m a big city guy—and guess who I run into? My old pal, Jessica Fletcher. We join forces again trying to prove that the woman didn’t off her hubby. We were sort of like the Odd Couple. I’m not one for protocol. I enjoy bars where the bartenders know how to make a decent drink, don’t care if I get up in the morning and put on two different colored socks, and sometimes I tend to shoot off my mouth, usually at the wrong time. Mrs. Fletcher, she’s a real lady, nice as can be, sort of refined. I caught her wincing every once in a while at something I did or said, but she was always nice to me. She’s nice to everybody—until somebody doesn’t deserve it, like a murderer, and then her claws come out, not physically, but mentally. She’s as sharp as a tack, got a mind like a mosquito trap, and can tell that somebody’s a liar within minutes. Let me tell you this. 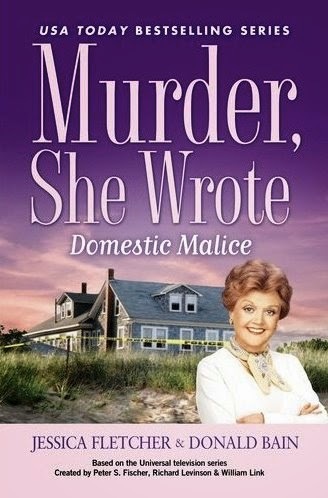 If Jessica Fletcher ever decided to quit writing her novels and get her private eye license, I’d partner up with her in a minute, and even suggested that awhile back, but she turned me down. Anyhow, Jessica and I solve the case, thanks to my temporary partner's insights with a little help from yours truly. Turns out that this sleazebag lawyer, O’Connor, was getting ready to sell his client down the river. I might have taken a poke at him, but I knew that Jessica wouldn’t approve, only I suspect she might have liked to do it herself. I'm back in Boston now and haven’t seen Mrs. F, like Cabot Cove’s sheriff, Mort Metzger, calls her. recently. I hope we get to work together again sometime soon. She’s one classy lady. Although I gotta tell you, if you ever decide to murder someone, don’t do it in Cabot Cove, not with Jessica Fletcher around to nail you. 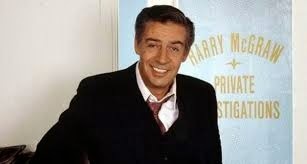 Uncouth gumshoe Harry McGraw was played by the great character actor Jerry Orbach in six episodes of the TV series. His own spin-off series, "The Law and Harry McGraw," while well received, never matched the longevity of "Murder, She Wrote." It lasted a year and a half. Do you have a favorite private detective from TV or mystery novels? 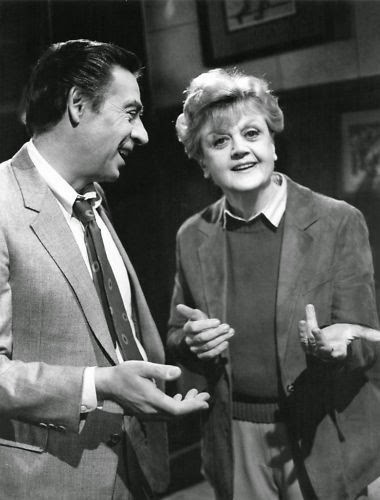 I hope you get to work with Jessica Fletcher again soon, Harry! Harry is a great character to work with, Willow. We hope he'll show up in another book, too. This mouthpiece hires investigators to work the case.I will provide that you got any private investigator job proper time. Nice to hear from a Florida P.I. Thanks for stopping by. I love Columbo, he was great. Who doesn't love Columbo, Rita? He was brought delightfully to life by Peter Falk, one of our favorite actors. Did he become a private eye? We thought he was a police detective. Harry was my all time favourite guest star on Murder She Wrote! Jerry Orbach did a great job. Love this character! I always enjoyed Harry on Murder She Wrote. Columbo was great, too. My all time favorite tv investigator was Magnum and my favorite tv detective was Lenny Briscoe on Law & Order. All good choices... I also loved Monk. In books I love Maggie from Rose Pressey's Maggie, P.I. Mystery series. Lavenderbluegreen, How could I forget Monk! Thanks. Jerry Orbach was memorable in all his roles. Thanks for all your comments!